Is This The World’s Weirdest McDonald’s Restaurant? 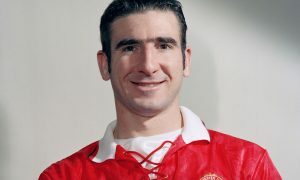 Would you like barbed wire with those fries? We’re all excited about the future of McDonald’s in Missouri and its promise of all-you-can-eat fries, coupled with comfy sofas and customisable Big Macs — basically, it’s going to be the best Maccy D’s in the world. But, what about the most unusual McDonald’s on the planet? 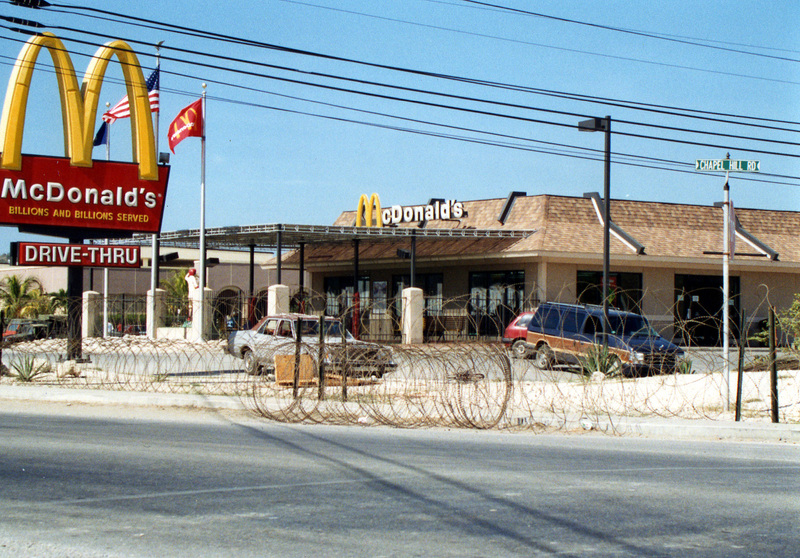 After some digging, I would have to say that the title belongs to the McDonald’s in the infamous Guantanamo Bay. This Maccy D’s sports the unmistakable Golden Arches but despite the blue skies and palm trees in the background, this barbed wire clad fast food joint doesn’t look very inviting – it is the only one in Cuba though (I guess that’s something). 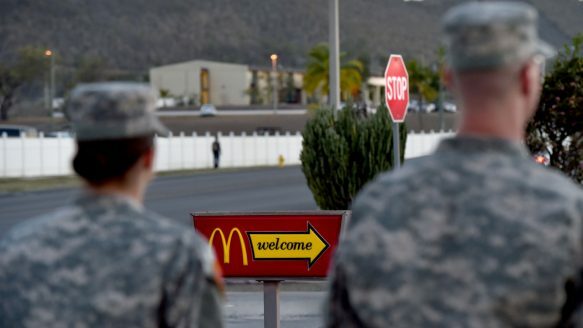 This particular outlet is only accessible to Guantanamo’s personnel, so any McCurious civilians have to look at it from afar with sad eyes and salivating mouths — unless they want to get a mouthful of barbed wire. Still, it has to be better than being a prisoner. Some of those detained in the camp were lucky enough to get the odd McMuffin brought to them by their attorneys, but that didn’t last long. Ongoing patterns of possible improper sanitation and health practices by having meals brought into the legal rooms triggered us to review our practice of outside meals being brought in prison. A legal room is not designed to be a dining facility. That’s a shame, perhaps Ronald himself should start a petition to allow prisoners to enjoy his shakes, muffins and burgers once more. 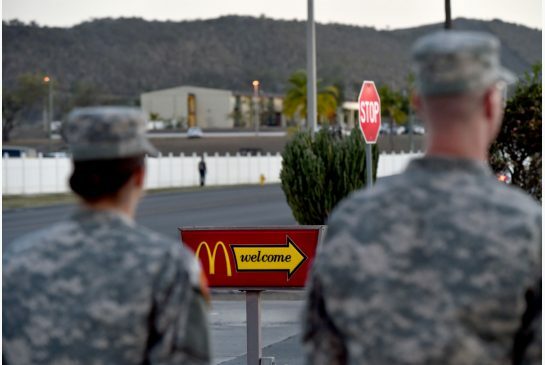 I wonder if McDonald’s Guantanamo sells Creme Egg McFlurries?